I have taken the tremendous liberty in A DEATH BY ANY OTHER NAME, which releases on March 14, 2017, of including among my quirky characters the redoubtable garden designer Gertrude Jekyll. 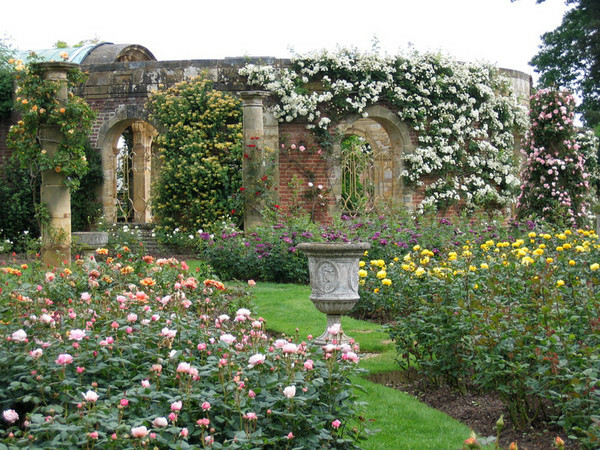 Miss Jekyll designed some of the most beautiful gardens in England, Europe and America. She bred a number of herbaceous specimens that we grow in our gardens today, and she was also a writer, and talented water colorist. 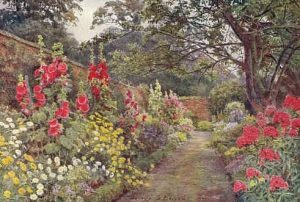 Her own garden at Munstead Wood featured in many of her water colors. 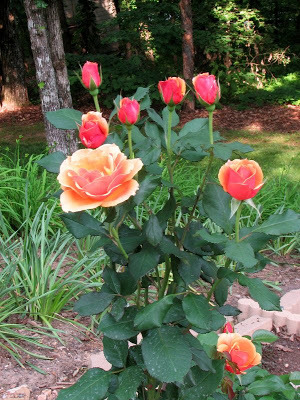 In reality I don’t think Miss Jekyll would be caught dead judging a rose competition among an over-eager bunch of amateur rosarians who breed rather garish hybrid tea roses, as I have had her do in A Death By Any Other Name. But putting Miss Jekyll on the spot so to speak was irresistible and Clementine Talbot, the Countess of Montfort, as you know, can be awfully persuasive. 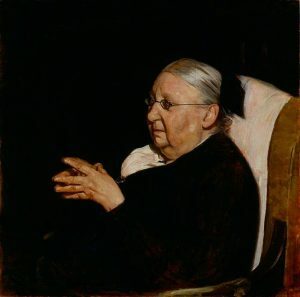 So what’s so wrong with Hybrid Teas you might ask that Gertrude Jekyll’s name should not be linked to them even in a piece of light-hearted fiction? Nothing at all –these are the roses you buy in your local supermarket and florist. They are come in an acceptable red, pink, white or yellow, their stems are long, straight, and thornless. In fact they all look perfectly identical as if the same rose has been duplicated over and over again, and although there is no scent, whatsoever, they are affordable and they will last a long time. They are hybrid roses, cultivated in rows by the mile for large retail outlets and florists. Now imagine you are walking in a garden on a warm summer evening, there is a delicious scent in the air reminiscent of jasmine and honeysuckle, a creamy and slightly spicy scent that you can’t name, but it is glorious! You round a yew hedge and there in the fading light is a garden of roses. Their colors are subtle: soft reds, to carmine to blush; pale golds, and the purest white. Their petals are layered and delicate. Some look like great double peonies, others are simple little saucers surrounding yellow tasseled stamens. Yes, there are thorns because what you are looking at are old garden roses, the elegant predecessors of today’s hybrid roses. Some them date back to the time of the Roman Empire when they were revered for their beauty and fragrance and still live on today in other strains and varieties. These are the roses of poetry and love songs. 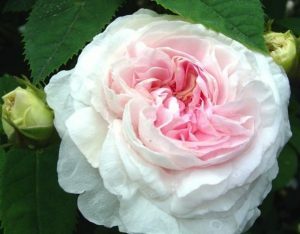 There are many different classes of the old garden rose: Alba, Bourbon, China, Damask, Gallicas, Moss, and Noisette. Just the names alone are wonderfully romantic. Here are some more about them. Alba Roses date back to the Middle Ages. Formerly known as ‘Tree Roses,’ they often reach six feet in height. Flowers are usually pink, blush and white and are set off by their gray-green foliage, creating a delicate beauty that is unequaled. Here is Rosa: Félicité Parmentier (below) a delicate pink and white rose with a delicious fragrance. Bourbon Roses have a unique heritage. The French developed this rose to be a perfect blend of strength and beauty. 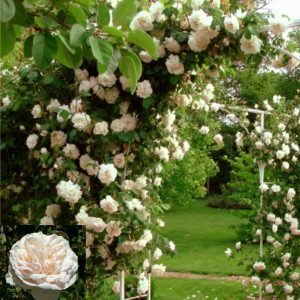 With stout branches that give way to magnificent clusters of translucent blooms, ranging in color from deep red and perfect pink, to light blush and pure white, this is a stately rose with noble elegance. 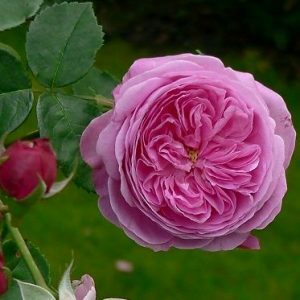 Here is Louise Odier (below), one of the most beautiful of the great Bourbon roses. A clear deep pink blessed with exquisitely rich lavender-like perfume. China Roses were developed before the 10th century and are by far the most exotic of the old roses. Their silky flowers are in rich hues of red, pink and yellow. Here is one of the most beautiful of China Roses: Old Blush (below). Blooms are silvery pink with a deeper flush and it has a fragrance like sweet peas. 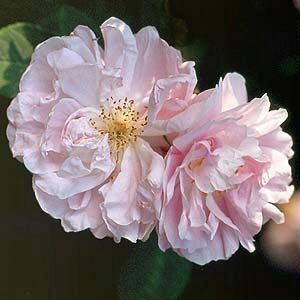 Old Blush is a historically important rose because it is the ancestor of many of our modern day roses. Damask Roses have graced the world since ancient times. 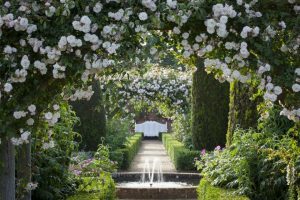 As one of the oldest rose varieties, the Damask has given birth to thousands of new varieties while maintaining its own unique heritage. Damask blooms are held on open airy branches and are almost always clear pink in color. The elongated and pointed foliage is greyish-green and downy on the underside. World renowned for its fine fragrance the Damask is often grown for perfume production. Here is Celsiana (below) an outstanding rose with magnificent perfume. I love the tassel of stamens in its center. Gallicas are the oldest of the garden roses, and date back to the ancient Greeks and Romans. Later, they were bred by the Dutch and French, as many of the names indicate. Gallicas are fine varieties with great color range for old roses. They offer shades of pink, reds, purples and even crimson-red with stripes. They are heavy bloomers and most are very fragrant. Here is Rosa Mundi (below) one of the most famous of all old garden roses. Named ‘Fair Rosamund,’ after the mistress of King Henry II of England. And here are the roses of Victorian England! 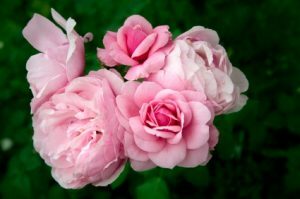 Moss Roses are actually Centifolia Roses and Damasks that have developed a distinctive fragrant moss-like growth on the sepals, adding elegance to the flowers. Moss Roses come in almost all colors and some varieties are repeat blooming. 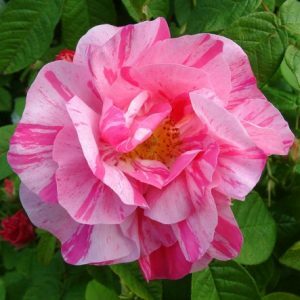 Here is Alfred de Dalmas a ballerina of a rose with semi-double blooms of soft pink which fade to a cream at times blushed pink. The most delightful fragrance! Noisette Roses can be grown as climbers –they flower in abundance and have a delicate spicy fragrance. Colors range from white, crimson, and purple. 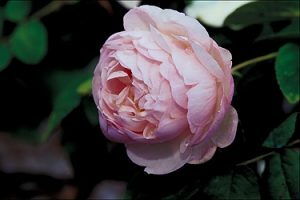 In the opening chapter of A Death By Any Other Name, Clementine is sitting under a bower of white Noisettes: Madame Alfred Carriere, one of the most fragrant of the Noisette roses. 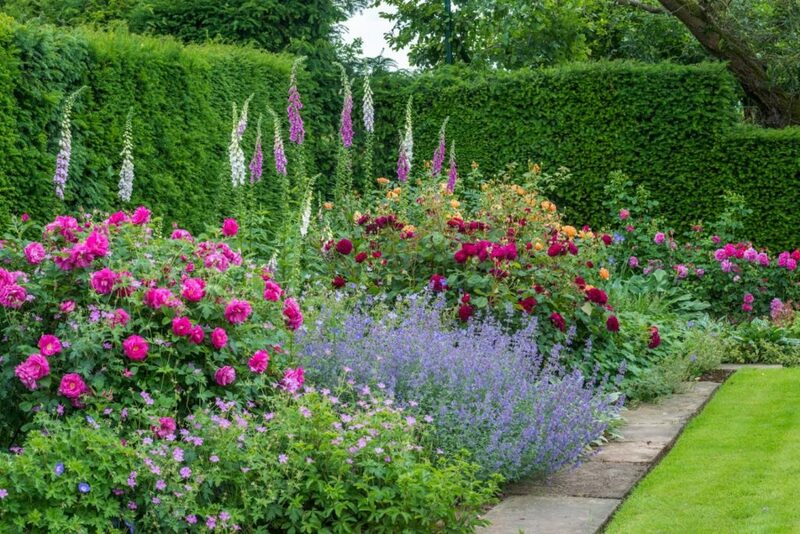 Gertrude Jekyll created some 400 gardens in the Britain, Europe and America and her design still influences our gardens today. 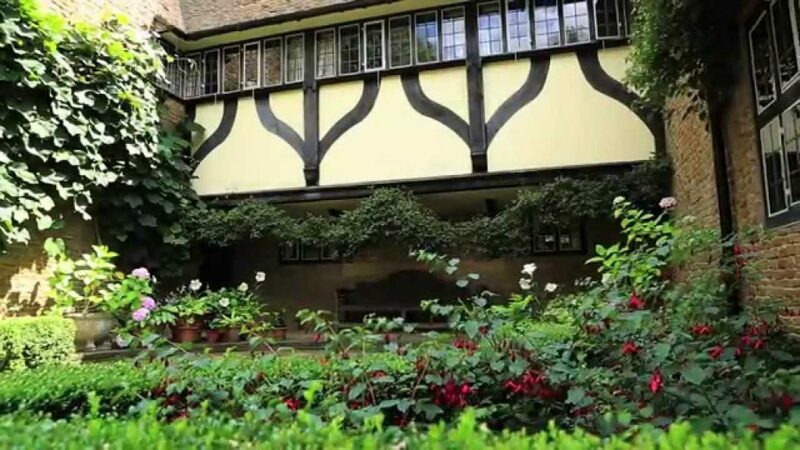 From her charming house Munstead Wood in Godalming in Surrey (designed for her by the great Sir Edwin Lutyens) she ran a garden center and bred many new plants. 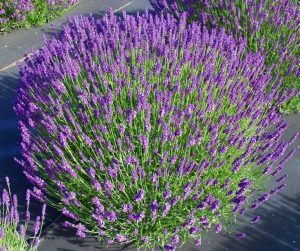 The lavender in my own garden is the Munstead variety and is a deep rich lavender violet. 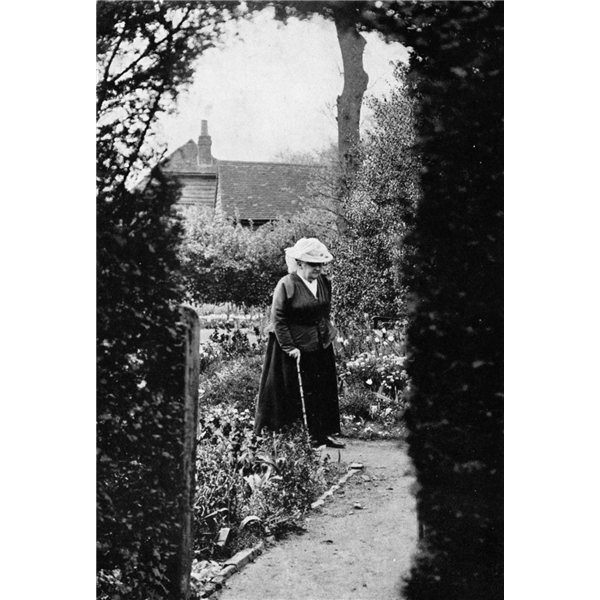 Miss Jekylls books about gardening are widely read in modern editions and much has been written about her by others. She contributed over 1,000 articles to Country Life, The Garden and other magazines and her work was much influenced by Arts & Crafts principles. She was also a close friend of the English architect, Sir Edwin Lutyens and collaborated with him on gardens for many of his houses. 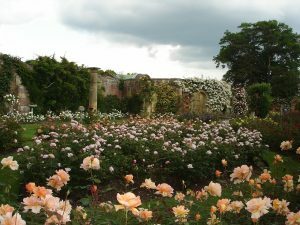 Below is a photograph of part of Munstead Wood with part of the rose garden.